Sail ho! 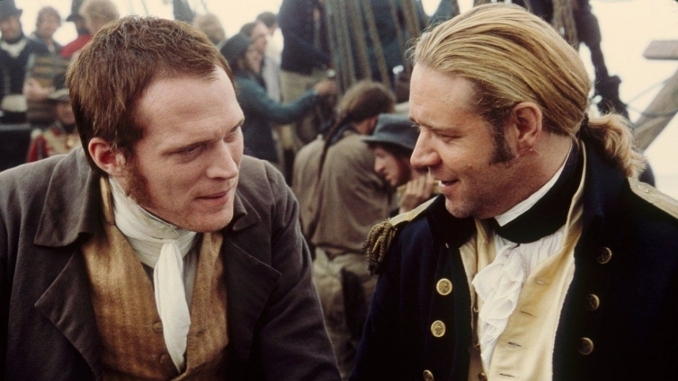 The cry is heard frequently as Captain Jack Aubrey of the Royal Navy and his ship’s surgeon, Dr Stephen Maturin, navigate the 19th century plotlines of Patrick O’Brian’s celebrated novels. But just as a jaded lookout might fail to make out a tiny fleck of white on the shimmering horizon, so the science in O’Brian’s books can seem lost in an ocean of superlative naval stories. The novels, a twenty-book series that weighs anchor with Master and Commander, which was first published in 1970, may not strictly be ‘lab-lit’ since there’s not a lab in sight. But Maturin, in addition to his duties as ship’s medic, is a natural philosopher of considerable reputation. To be sure his scientific interests form only one part of a brilliantly complex man who is also absorbed by medicine, music, international espionage and his continuous dialogue with Jack about the nature of command. But in Dr Stephen Maturin, O’Brian has created one of the most interesting and sympathetic scientific characters to be found in contemporary fiction, whose precise, rational approach to the world informs all of his activities and interactions. The series of novels is already famed, and rightly so; O’Brian’s brilliant story-telling flair, massively enriched by his meticulous attention to detail, has produced books that are considered to rank among the very best historical fiction. O’Brian’s style offers a total immersion experience; almost no quarter is given as the reader negotiates the language of the time and the initially bewildering technical vocabulary of ship life. If you stick with it, you soon develop a feel for the jargon and can swim through the words without really needing to know the exact meaning – the salty taste is enough (1). The novels follow the exploits of Captain Aubrey as he sails around the world on orders from the Admiralty, mostly in command of the frigate HMS Surprise. Some can be enjoyed as straight, rip-roaring fiction; readers looking for action will not be disappointed, but the books also offer many detours through life ashore – domestic, naval political and scientific. For me the space allowed for these excursions into different facets of 19th century life are among the greatest pleasures to be derived from the books. The key to their success, however, is the central relationship between Captain Jack and the good Doctor. Jack Aubrey, the eponymous Master and Commander of the first novel, is a gregarious, large, larger-than-life man of action who leads his crew with great skill and courage, but his short, slight Catalan-Irish surgeon companion, the irascible, forensic natural philosopher, provides the perfect foil. Maturin’s scientific interests – mostly anatomy, physiology and the flora and fauna of the ship’s various destinations – crop up episodically throughout the series. On several occasions he is to be found honing his dissection technique on a fresh cadaver – or whatever part of a cadaver he can lay his hands on. In the spirit of enquiry the good doctor is never shy of experimenting on himself, not least when it comes to the matter of examining the stimulating effects of coca leaves or the ability of tincture of laudanum to dull the pain of his brittle, on-off relationship with Diana Villiers. A more enduring and requited love affair with the natural world, evidently stimulated by his childhood experiences in rural Ireland, leads him to seek out the beasts and plants of his locale whenever he has the chance to step ashore; afloat he mainly confines himself to cataloguing his new-found collections but will take any opportunity to trawl for fish or scan the skies for birds. His endeavours in biology and botany are serious, earning him election to the Royal Society; on one memorable occasion Stephen – like many scientists! – can only muster an excruciatingly dull and barely audible reading of a paper to the venerable Society. Also a member of the Royal is his esteemed colleague – and spy-master – Sir Joseph Blaine, who is loosely based on the real Sir Joseph Banks (2), the naturalist and botanist taken by Captain Cook on his historic voyage around the southern oceans. These scientific pursuits are sometimes just part of the scenery, providing O’Brian with the means to colour the setting of the core events of the story. But at the same time Maturin’s devotion to science is developed as a key element of a fascinating, multi-layered character, often bringing him into conflict with Captain Aubrey. He is regularly frustrated that the “demands of the service” prevent him from dallying ashore to pursue his investigations of the local animal and plant life. But more fundamentally, Stephen is endlessly observant – as any scientist should be – and questions everything and everyone, including the Captain. His scientific mindset leads him to express frequent bafflement at the unreasoned traditions and superstitions of the life aboard ship, such as the Navy’s maintenance of rum rations, which can lead to drunkenness among the crew. Nor can he understand or easily tolerate – Stephen can be a cantankerous soul – Jack’s adherence to these customs. At times Jack may patiently try to explain the value of these traditions to his long-time friend but, just as often, is dismayed – or “brought low” – by Stephen’s criticisms of the service he so obviously loves. Arguably however, Captain Aubrey has a subtler understanding of human nature – especially as it is to be found in the lower decks – and a keener sense of what it takes to run a happy ship. Despite their frequent differences, Stephen and Jack have many interests in common, not just their shared love of music and hatred of Bonaparte. The intricate development of the relationship between the two men – from an inauspicious meeting at a concert in Malta on the first page of the first book – is one of the great joys of the story. But for me there is particular pleasure in the portrayal of Stephen Maturin, a fully fleshed man of science, not just observing and examining the world but also engaging in it fully. I could go on – I love the books and having read all twenty (3), have started on a leisurely second lap. Of course, I could be biased: there are simply too few books about Irish scientists called Stephen and those few that exist deserve to be widely read! (1) For those who really do need to know what all the technical terms mean, there are excellent companion guides such Dean King’s A Sea of Words: Lexicon and Companion for Patrick O’Brian’s Seafaring Tales. Henry Holt; 2nd edition, revised (2001). (2) Patrick O’Brian has also written a fine biography of Banks: Joseph Banks – A Life. Chicago University Press, (1997). (3) I can’t bring myself to read the incomplete and unpolished 21st manuscript [The Final Unfinished Voyage of Jack Aubrey. HarperCollins (2004)] that was published after the author’s death in 2000.